It’s no surprise that gender representation is skewed to be biased in favor of men. This lack of equal representation exists in everything from the United States Congress (women making up approximately 19%), to the workplace, and even the media. Women strive to break barriers and while these efforts have become harder in this current political climate, these issues do tend to be changing for the better. The 2016 election helped elect more diverse people into Congress and more women are pushing for equal representation in virtually every aspect of life. One thing that is helping women achieve in a major way is higher education. Even as women dominate campuses, making up over 56 percent of student population, one essential piece of their education serves as a place to still find blatant sexism — economic textbooks. 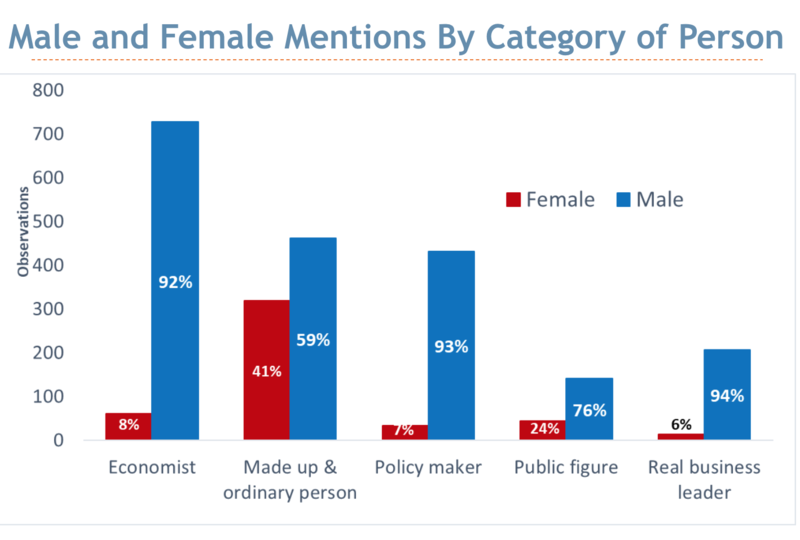 According to an Inside Higher Ed article, other than the obvious gender disparity in authors, sheer examples used to illustrate material reflect a similar gender bias. In addition to this, the article notes that while female authors write with more clarity than their male counterparts they take significantly longer to be published. There are also different standards for co-authoring for males versus females in order to favor men. While academics have been historically male, this cannot be the case with education levels and women’s rights on the rise. If states are fighting back against the pink tax and the wage gap, then the equality needs to be reflected in our education systems.